Unit 7027a. I have been using one for a number of years with my AC cracker box to tig weld aluminum and it does a fair job. I want to see if there is any information regarding various setups especially using it with my Bobcat 225. I am concerned there maybe some issues with the HF messing up the Bobcat,or it can be used with my POWCON 300ST. Did you already do a google search and read everything you could find on the web? Maybe contact Hobart for help if you already did everything you could to find info. Yes Sir I have googled this machine several times in hopes of finding a manual. 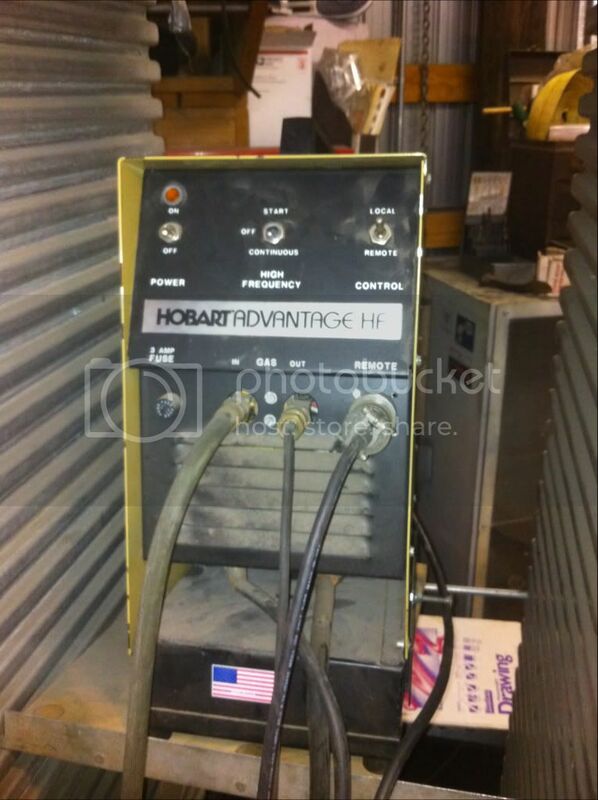 I even called Hobart about a manual, I was told by the guy on the phone, Hobart Sold the welder mfg part of the company back in the 90's and the new Hobart company did not retain the information on the older equipment. Send me your e-mail address and I will forward you the manual. Then maybe you can tell me how to hook up this machine. I also need the manual. For arc welding and cutting the safe way! We strongly recommend that you download this clear, simple guide and keep it near your welder or plasma cutter. Always read and follow all safety information before starting any project. Last edited by zeeshan; 02-05-2013, 01:36 AM. Do you still have a manual available for your Hobart Advantage HF? I just picked one up and i am trying to figure it out. Jon, check your email..manual sent. Hey Keith what's the chances you still have a copy of the manual, been all over the net and haven't found a copy yet. Keith, I also need a manual for my Hobart Advantage HF. I have a Miller 300 AC/DC power supply. I have my foot peddle on the Miller but I have a switch at the torch to turn the Gas on and off. I would like to have the miller control the gas through the foot pedal via the 14 connector. Can this be done? I was thinking of using one of the contacters but not sure if I need to use a relay to isolate the two. Keith, I could also use the Hobart Advantage HF manual. Trying to connect it to my Miller 300 AC/DC power supply. Hello Keith, I have had an Advantage HF for the past five years. Its brand new and could use a manual also. If you don't mind. My email is therrera1550@gmail.com. thanks for your help.